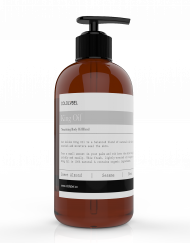 7 Juices is undoubtedly one of the best natural hair oils on the market. Our proprietary blend of 7 of the most effective oils, including Argan and African Black Seed, makes the most luxurious hair conditioning serum. 7 Juices contains raw, OSHA certified organic ingredients with proven conditioning properties. 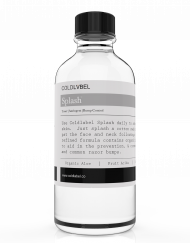 It can be used as a daily conditioner, or works excellent in a hot oil treatment. How to use: Apply a half to full dropper-ful into palm. 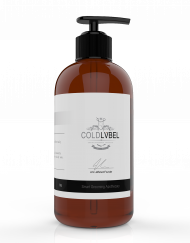 Massage and apply evenly throughout the hair. 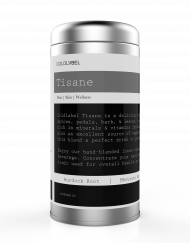 Can be used in a standard hot oil treatment. What to expect: A thick, castor-based oil blend. A very pleasant, unique aroma. The ultimate in hair conditioning. That is awesome! We are glad that you like it. Thanks for the feedback..
Been using this for about two years now no complaints. I apply this product everyday before I go out. i always get compliments about how shiny my hair looks and the overall health of my hair. I have coarse hair so usually my hair its up moisturizers, but 7 juices and berries gives me the confidence that my hair won’t dry out within hours. If you don’t have this hair oil you are missing out. Amazing Product (s). I’ve used 7 juices for a few months and I have to admit, it really does wonders for my hair and scalp. 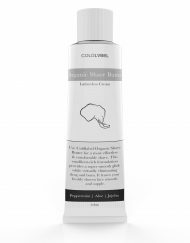 Your hair receives the moisture without your head having an oily residue. It smells amazing too! I usually get mine from the shop in Riverside, CA but I’m glad it’s online when I’m out of state. Keep it up John! I bought this from my barber who sales it and this works. I have a sensitive scalp and sometimes I get bumps and my barber recommended this to me. I have been using this product for 3 week and in the first week I used it everyday and my scalp cleared up and the bumps went away. Excellent product, smells good and it’s all natural. Great product smells great. Would definitely recommend, great for hair and I also use it on my beard. For starters i’m Mexican, and I’ve had waves in the past, but then I decided to not keep them. After a year without them I decided to bring them back! This works great for my hair texture, so far I’ve been using for a week and my waves came in faster.The smell is great not strong at all. I love just smelling the 7 juices and berries. The shine is also great, and the oil is not greasy, unless you overdo it.I’m definitely buying this again. Thank You Coldlvble! Great product! I apply it to my hair when I am getting ready to go out for the day. I get compliments on how shiny and healthy my hair looks. I’ve notice that it helps my waves pop and promotes growth. I enjoy using this product. This is actually my favorite hair product out of anything I use. I have coarse and dry hair and this is the best moisturizer hands down. I ALWAYS come back for this product no matter what. I like the other stuff on here too though. I put this on at night every two or three days and then sleep with a cap. It’s great. Great shine, sheen, smell, and overall look! Great product 10 out of 10. I mainly use this on a fresh cut and hot oil treatment, all the way till week four of wolfing. And also I love this product because it gives my hair that natural shine!!! Just ordered some more along with king oil and African black soap!!!! I’ve been using this for a month so far and when I say I stopped using all those other oils and pomades I really mean it, it leaves my hair looking and feeling great and I must say the results are epic WAVES ON FLEEK!! 7juices definitely encourages hair growth! I’ve only been using this product now for 2weeks & I’ve already noticed the difference . My hair is usually very dry even though I used hair oil ( the old stuff that I’ve been using for years ) but my son introduced me to this product and it seems it worked wonders on my hair overnight. My hair looks luxurious , it has sheen to it and does not feel oily and finally my hair has body. I love it! Thank you! PS. Just received my new order of 4 more bottles and a few other things…… So glad my son started using this product otherwise I would not have known about it. I’ve just received my shipment of the oil at my office and immediately placed it in my hair. WOW is all I can say, literally my hair feels moisturized in one application. I would like to know what’s the process to using this as a hot oil treatment. I hope you continue to develop new products and keep the ones you currently have. New and forever customer here! Thank you so much for the awesome feedback! We will indeed continue to do our absolute best! We aprreciate the love..
Shampoo hair, towel dry, place oil from scalp thru ends, cover with shower cap, heat for 15 minutes (hot towel, dryer,etc), rinse with water only, towel dry and style..
Just ordered it, how would I go about using this product for hot oil treatment? Also can I use on the beard and after shaving? Simply shampoo, rinse, towel dry, apply 7juices down to scalp, cover with shower cap, sit under heat for 10-15 min, warm rinse (water only) then dry and style as usual. Yes, it works great on beard for conditioning/shaving too! Love it! I use it every other day as a go-to moisturizer! 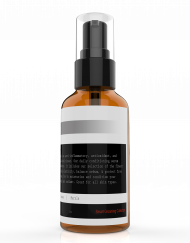 The dropper allows me to apply it, not only to my hair, but directly to the scalp, especially after the shower! I just wish it came in a larger size! 7 juices & berries is all I really have to say. It makes your waves shine and glisten. You need this. You need this if you are a true elite waver. 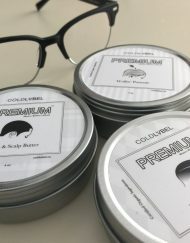 I placed an order with ColdLabel on Black Friday and some of the details of my order were over looked. As a result, I emailed Cold about my concern and the issue was addressed in a timely manner. Not to mention that I was compensated for the mistake so this is more than a review of a incredible product, it’s a review of an incredible brand. In the Spring of ’17 I will be opening a new shop and the Complete line ColdLabel will be present! Thank You John and crew for helping me help my clients to a healthier hair and scalp! 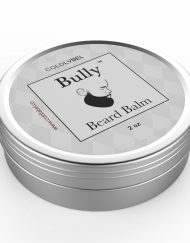 Can this be used in beards as well? Had this product since 2015. Just started waving again and the 7 juices is the truth. I’m a coarse waver and it has taken my hair texture to an unbelievable level. Waves are shiny and healthy looking. Brushing is the key, but the 7 juices enhances greatly. Awesome!!!! We are glad you love 7juices. Thank you for your feedback! One of the best oil blends I’ve ever used! A must have! Can you use both wolfin pomade and 7 juices together ? 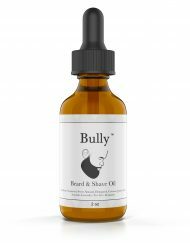 Can you use this on a beard until I get the Bully Oil? 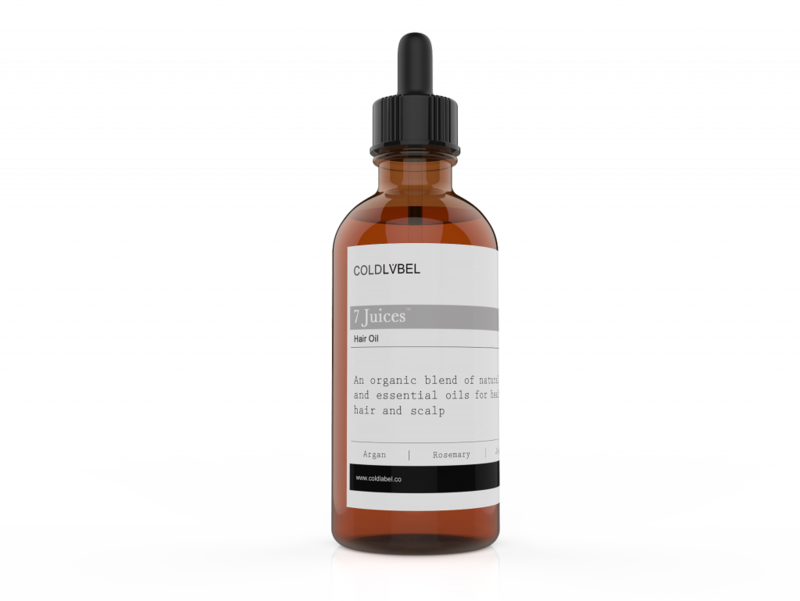 The 7juices is a hair oil to soften and condition your hair. 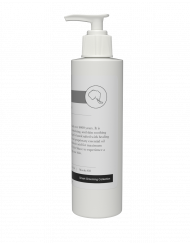 The 7+ scalp serum is crafted as a super healthy scalp conditioner to encourage strong hair growth. This product is incredible! I’ve been using 7 Juices for a while now and I see the difference in my hair and scalp. 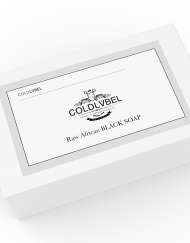 I am a firm believer in Cold Label Brand! Can you use both the 7 juices and 7plus? Just received my package of 7 juices and wolfing pomade. The oil makes hair very soft and silky so far. I’ve used it twice. I plan to use it in my weekly routine and during wolfing to hot oil treat every week for the last month until I cut down. I like the smell. It would be nice if a bit of instruction came with it. As far as the various uses. I wouldn’t know how many drops to use per application for short hair vs long hair etc. That info would be very helpful. For instance, I may have already been using the wrong amount. I used about 5 to 6 drops from the dropper per application. Today I read I should be using half a dropper full to a full dropper full per application. That’s good to know. I look forward to some great results with this. Hello Dr Manhattan. Thank you for your awesome feedback! We post some basic instruction on the buy page as well as ingredients and what to expect. As with most organic products, it is almost impossible to get it wrong. The amount you use is organic as the product itself. Use a few drops for short hair, use a dropper full for longer. 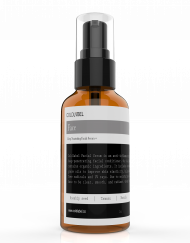 You don’t want an overly oily feel from this fast absorbing product. Also you want to see and feel the result of regular use so even distribution is key. I hope this helps. I received my hair oil today, In the last year my hair has been thinning and my grandson recommended it. Will this oil help my hair to grow? I hope this helps, my hair has always been thick. Thank you for your interest and support of our Coldlabel Apothecary products. The 7juices and 7plus+ hair oil and scalp serums both encourage hair growth. I would suggest you take a picture once weekly to track progress. Please let us know how it works for you! Just ordered. Does this help beard growth? Great product. Best oil on the market. In what order do I use in conjunction with the wave and scalp butter or the wolfin pomade? Awesome!!! You can use it in conjunction with either balm. 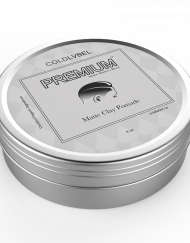 Bought this, the wolfing pomade, and the wave and scalp butter off Amazon… I use these products as well as the As I Am Double butter moisturizer and my waves have never looked this good. Makes wolfing easy, I wish I discovered Cold Label years ago! Are there any available coupons? Would love to purchase this product and a couple more. Bought this product because of the recommendation from a YouTube video. I like the way it makes my hair look but I really do not like the way it make my hair smell. It smells like aromatherapy oils. Good thing I’m a truck driver this not around alot of people. If the they change smell I would give this product a 5 star.